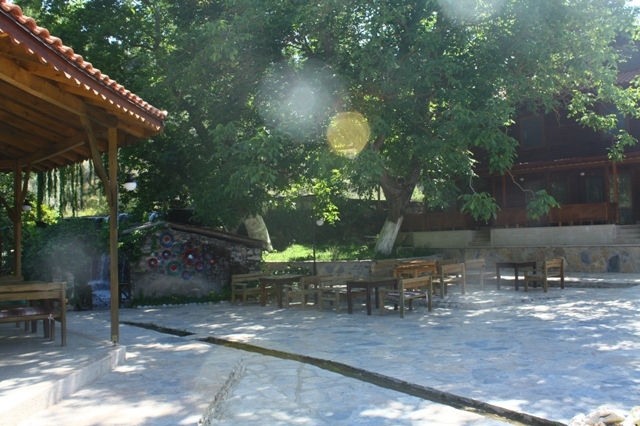 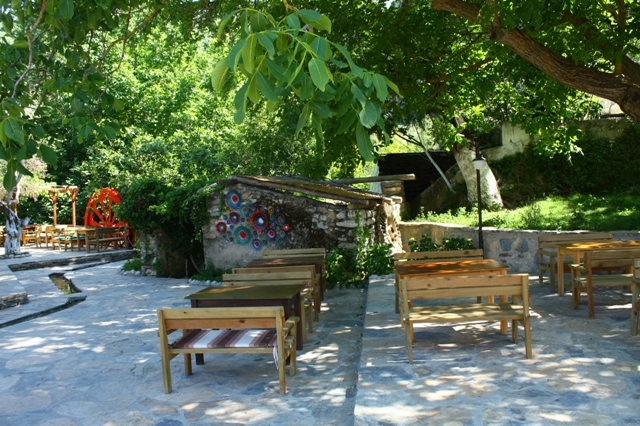 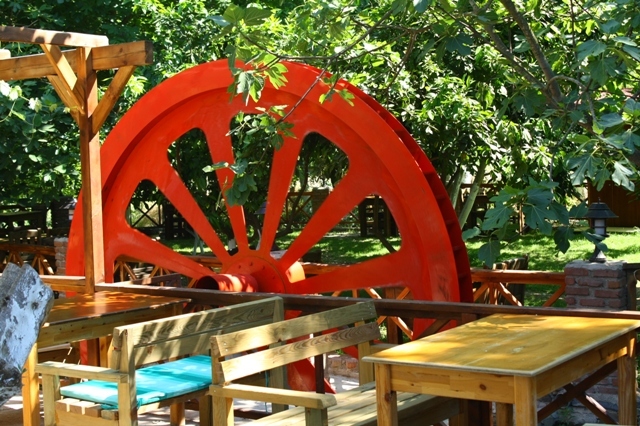 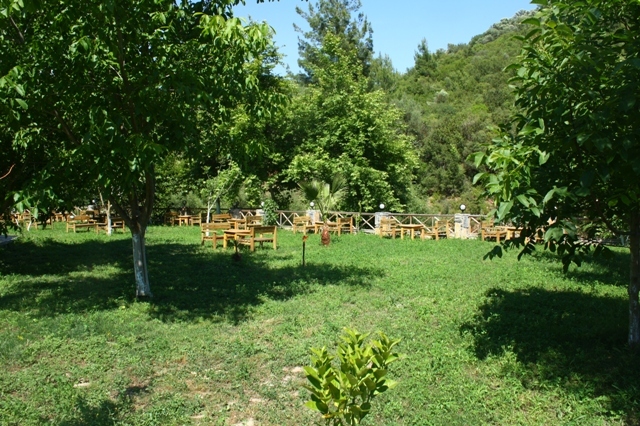 Restaurant and cafe are located next to the Hamza Bey River under the pine, plane, walnut, orange and tangerine trees. 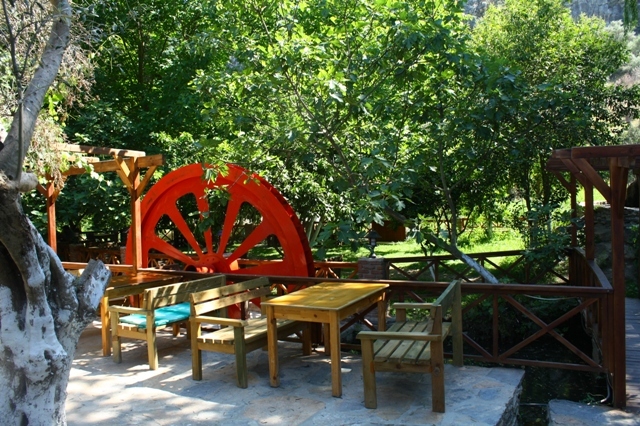 In wintertime, we will be happy to entertain you in the winter restaurant next to the fireplace, so you can enjoy the unique landscape of the valley. 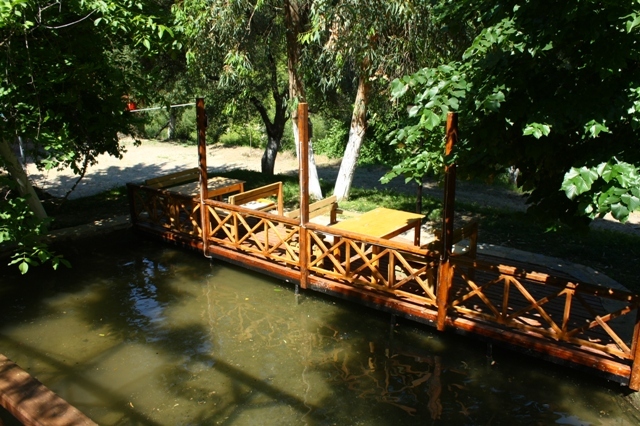 Swaying in a hammock and lying down on a cushion will help you rest when you are watching gooses, ducks, turtles, fishes and the whole river. 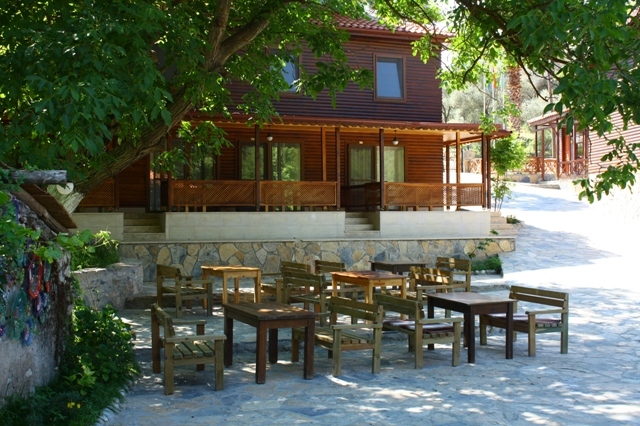 When the sun goes down, you will discover the unique landscape under the moonlight.